This is such a fun and easy entertaining idea for Easter! 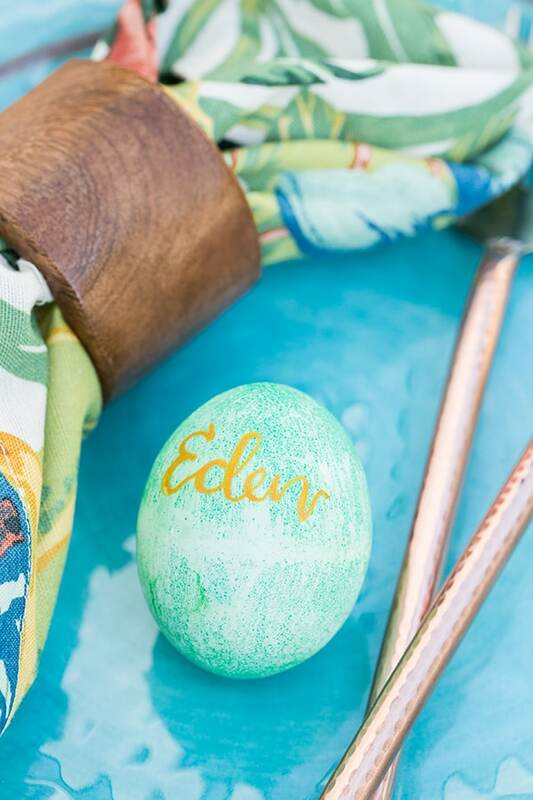 We used these calligraphy Easter eggs as “name cards” for our Easter brunch with Pottery Barn… more from that later this week! 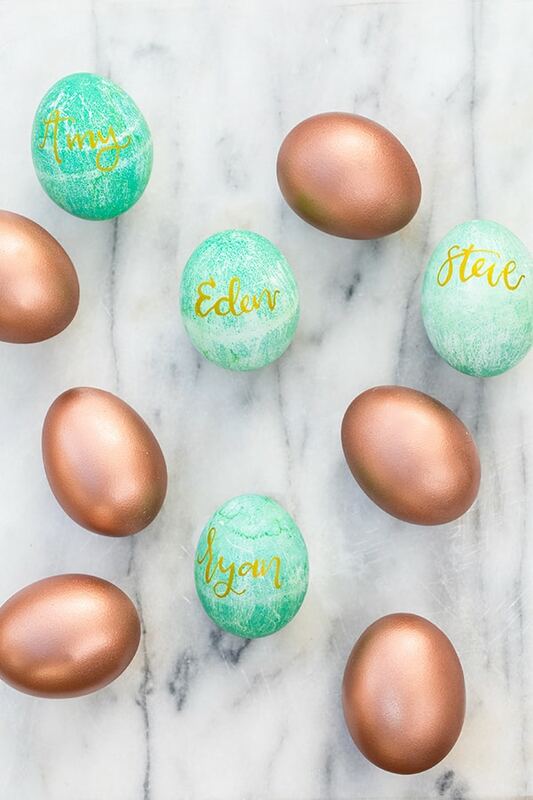 I absolutely love how these calligraphy eggs turned out and how easy they are to make. We spray painted the hard boiled eggs with metallic copper paint and dyed some green using a gel food coloring. Once they dried, we wrote names on them with gold sharpie! Easy like Sunday morning!! If you want to try your hand at calligraphy, here’s a great tutorial for beginners. Or you can use cursive or any style you like! Happy Easter!